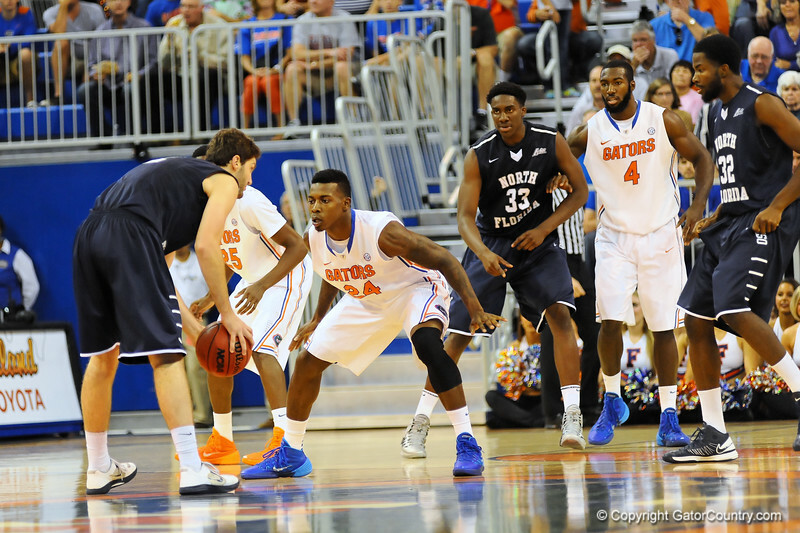 Florida forward Casey Prather awaits the move from North Florida guard Beau Beech in the first half. Florida Gators vs North Florida Ospreys. Stephen C. O'Connell Center, Gainesville, FL. November 8, 2013.